I spoke with Sakina, an old friend of mine, last week and it was a very encouraging conversation. I had always known of her involvement in the lives of her sons; one of them is physically challenged and one of them is able-bodied. 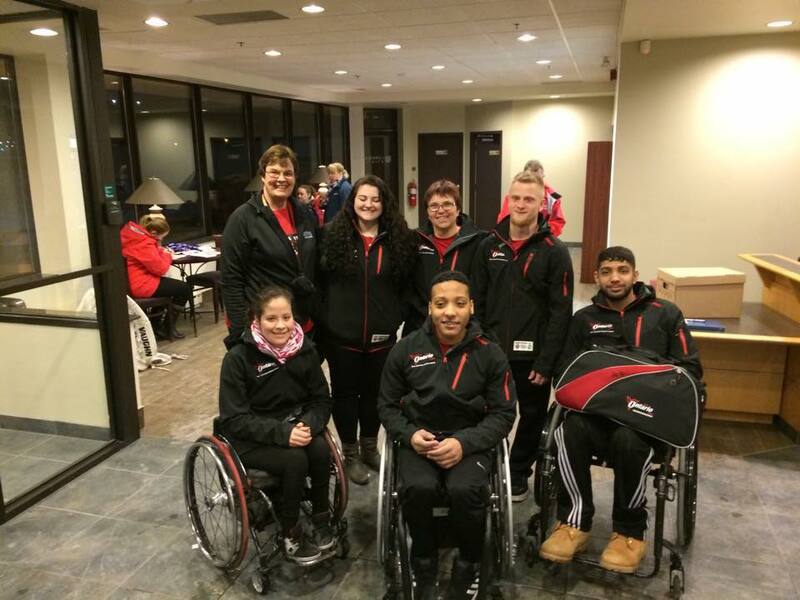 I have been assigned to cover the sport of wheelchair basketball for the ongoing series on this blog site which focuses on the Para-Pan Games scheduled in Toronto later this year. I am aware that Sakina’s boys are both interested in basketball and the younger one with a physical disability, Yasin, is a budding star in the sport. Sakina met her husband, Juzer in 1995 and they got married soon after. Both husband and wife work at jobs in Brampton, Ontario. Her son, Ali, was born in 2001 and her second child, Yasin, in 2003. Both the kids were born without complication and Sakina says that they reached their milestones ahead of schedule. Towards the second year of his life, they noticed that Yasin was dragging a foot while walking. This started a battery of tests and medical visits for the family. After initially being misdiagnosed, it was finally discovered in 2009 that Yasin was affected by a condition called Friedrich’s Ataxia (FA) which affects about 1 in 50,000 persons in Canada and the US. While it is a fairly rare condition, it is perhaps the most studied of the various ataxias and there is a lot of research going on all the time. As with all the ataxia, there is currently no cure and no way to halt or reverse its progression. It is however possible to manage the symptoms, reduce pain, and improve the quality of life of the affected person. Friedreich’s ataxia (FA) is a debilitating, life-shortening, degenerative neuro-muscular disorder. Onset of symptoms can vary from childhood to adulthood. Childhood onset of FA is usually between the ages of 5 and 15 and tends to be associated with a more rapid progression. Late onset FA (LOFA) can occur anytime during adulthood. Sakina’s family has had to make certain adjustments and accommodations to help Yasin live a more fulfilled life. The most significant change in their lives was their recent move to a new town and a new bungalow style home which is on a single level, making it easier for Yasin to be fully mobile inside the home. He goes to a regular school and is in an integrated program. Sakina says there are not many focused school programs for special needs children like Yasin except for some efforts made during the PE classes, but she wouldn’t want it any other way! Over a period of time, she noticed that while Yasin was coping brilliantly with the academic requirements of school, he did not seem particularly happy with his life at that time. At the same time, the FA symptoms were progressing, he went from running, to using a walker and now a wheelchair. The concerned parents searched for specialized programs and found “Cruiser Sports”. This is a volunteer run organization and has been operating in the Halton-Peel area of Southern Ontario for twenty-five years. Both brothers joined Cruiser’s multi-sport division, this program is for all individuals with special needs and their siblings and doesn’t matter their ability levels. Every week there is a different activity played from soccer, to dodge ball, tag and much more. Yasin learned that his condition doesn’t limit his ability to play and be normal like every other child. After a couple of years in this program, the coaches Kathy Ludwig and Linda Beacham felt that Yasin could benefit by advancing to play basketball. Cruiser rigged him up with a basketball wheelchair which enabled him to move pretty fast to all corners of the court. The coaches spend a lot of time training the kids in skills like passing and dribbling. When it comes to the actual shooting, kids who can target the net do so in the normal course. For beginners or individuals that cannot reach the net, there are big plastic hollahoops hung off the actual nets at strategic heights in different colours to help with aiming. Over a period of time, kids progress up to different levels and eventually aim for the basket. 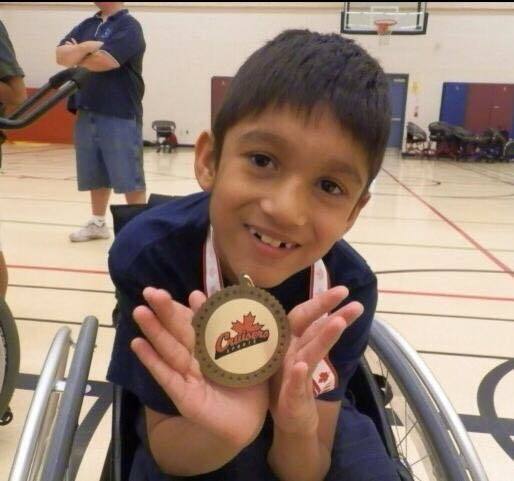 Cruiser’s also encouraged able-bodied kids to participate in these sports and the only stipulation is that they also have to sit on a wheelchair, thus equalizing the playing field. I checked with Sakina about the expenses involved and she said that it is quite reasonable at a couple of hundred dollars every year for Cruiser as it is a non-profit agency and is always looking for donations of cash and sporting equipment including wheelchairs in various sizes. We shall separately attached a YouTube video of Cruiser sports and it is very heartening to note that some of their athletes have gone as far as the Para-Olympics. 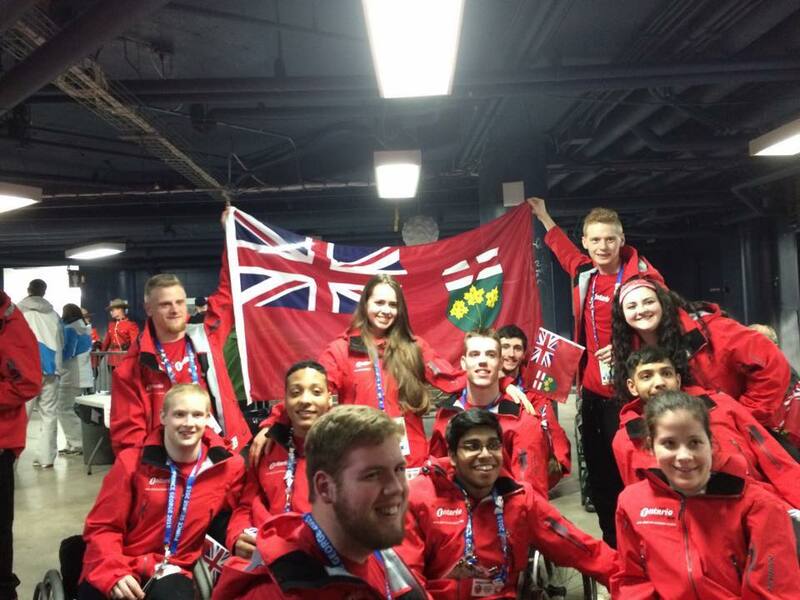 No doubt some of their stars will also appear in the forth-coming Para-Pan Games in Toronto. It was a very rewarding and enlightening conversation for me with Sakina and it is heart-warming to know that kids of all abilities can experience the highs and lows of being a competitive athlete and have a shot at representing their country. I am an Indian immigrant to Canada, in my fifties. I currently live in Toronto. I have a medical condition called Spino Cerebellar Ataxia (SCA) and use a power wheelchair. Worked for 25+ years in 3 different countries, in banking and investments. Inter-University and College Disability Conference in Toronto this weekend!